This Spring Make a difference! After the major success of the past EIGHT years we return to Berlin! Explore a region you've never seen and help a community in need. Berlin, Germany; a city that might not evoke fond memories for many Jews. But now you have an opportunity to witness the miracle of our people; the miraculous regrowth of Judaism in the place they intended to destroy it. Germany is the fastest growing Jewish population of any country in the world, with now close to 250,00 Jews living there. Berlin, its capitol is home to its largest Jewish community. Today, there is an urgent need to bolster integral services in the Jewish and general community. Students will work in soup kitchens, do programming for Survivors, help refugees and children at risk, clean up the Jewish Cemetery, help provide health care to the needy and much more. We will spend time with college students from Berlin throughout the week. The trip will include touring Berlin, The Sachsenhausen camp and more. 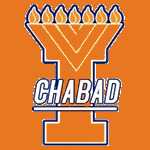 Join fellow Illinois students on this unbelievable ASB trip.
.*Note the trip costs Chabad close to $2750 per student, . Each participant will be required to take part in the fundraising efforts. With a commitment to raise $1000 beyond your payment. The rest will be subsidized this covers your entire trip. Flight, lodging, food, trips and all.